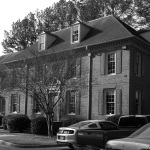 Our Georgia court reporters work on a variety of different types of litigation and we handle cases throughout the state. If you have any questions regarding what we do, how we do it or when we can provide our services for you, please feel free to contact us at any time. General E-Mail: Click here to contact us. View the map below for directions to our office.